NEW YORK (AP) — An 8-year-old boy’s victory as New York state chess champion will be his family’s ticket out of a homeless shelter. 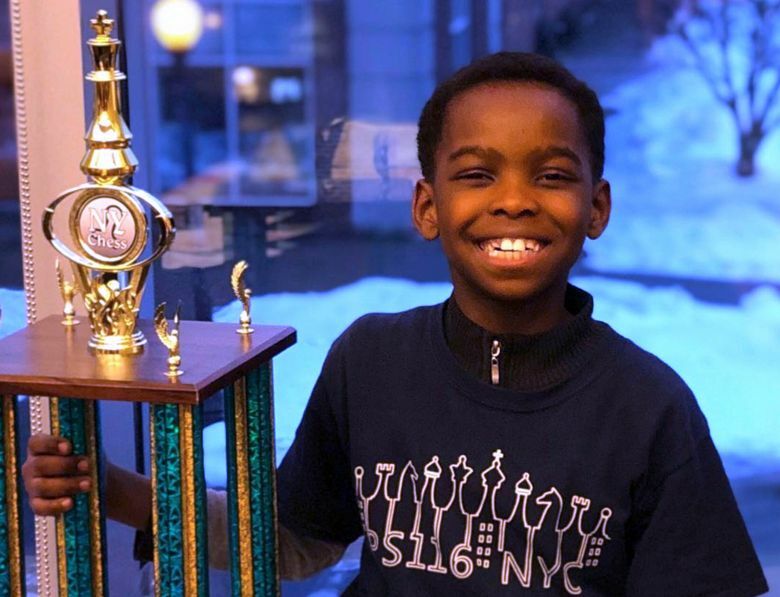 The New York Times reported that Tani Adewumi (TAH’-nee ah-deh-WOO’-mee) won the state chess title for his age group this month even though he learned to play only about a year ago. Tani and his family have lived in a New York City shelter since fleeing Nigeria in 2017. The Christian family feared attacks by the militant group Boko Haram. Tani’s chess coach Russell Makofsky (muh-KAHF’-skee) set up a GoFundMe account for the family after Tani won the championship. Makofsky joined Tani on NBC’s “Today” show Tuesday and said that thanks to donations, the family is moving into an apartment. Tani says he “felt surprised” by his win.